and control of the process. I hired Todd for a personal matter involving my child. He was able to step right in, give me the attention needed and draft the needed action letter. In the end, his actions worked, we got the end result we asked for and it's a win for my daughter! Thank you so much for helping me through this process......it was very good to have your advice and support.....I highly recommend your firm's service and professional attitude.....I know that you will have a great future..... sincerely yours. Todd is a no nonsense guy. He takes his profession to the highest standards of professionalism and the results speak for them selves. I would hire him again and again and am truly blessed he is part of my team. I don't often write reviews but I am happy to go out of my way to say a few words about Todd and his partner Andrew. I hired them and they were both hands on, professional and thorough. In the event of another emergency, they are on my speed-dial. Thank you both! I can't recommend this firm and Todd Wise enough. We had an extremely different case and he handled it perfectly. I'm extremely pleased with the results and the effort Todd put in for me when I needed him to. Thank you!! Divorce and family law matters involve serious issues that impact your finances, property and family dynamics in the short-term and for years into the future. 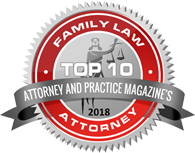 Getting family law done right the first time is critical to your immediate and long-term success. At Wise Lieberman, PLLC, we have the answers to your Florida family law questions. With 16 years of combined experience in the practice of family law, the Boca Raton divorce & family lawyers at Wise Lieberman, PLLC have the knowledge and skill to ably handle your divorce, child custody dispute, paternity suit or other family law matter ably and effectively. Contact us at our offices in Boca Raton and Plantation for help throughout Palm Beach and Broward counties. Divorce – We can step you through the process of obtaining a simplified dissolution of marriage, or handle the most complex cases involving business valuations or high-conflict emotional disputes. From temporary orders at the outset of divorce through final judgment, our Boca Raton divorce lawyers provide strong and effective representation in any legal setting. Alimony – Let our attorneys develop the facts and argue for or against an alimony award in your divorce, including temporary, bridge-the-gap, rehabilitative, durational or permanent alimony awards. Child Custody – We work with parents to create parenting plans and time-sharing schedules that last for the long-term and are easy to implement, understand and enforce. When agreement can’t be reached, we’re prepared to litigate based on the several factors courts look at to determine a custody arrangement in the best interests of the kids. Child Support – Working your way through the Florida Child Support Guidelines is far from a cut-and-dried process of filling out forms. Our guidance helps ensure your part of the process is completed completely and accurately while also making sure your spouse is not underreporting income or hiding assets from the court. We’ll also be prepared to argue for or against any deviation from the guidelines amount that may be presented to the court. Property Division – Florida law requires an equitable distribution of marital assets. Our attorneys understand the factors that go into determining when a property division may be unequal yet equitable. We’ll get into the details with you to devise a property settlement agreement that addresses all marital assets and debts, or we’ll litigate the matter in court if an agreement can’t be reached. Count on Wise Lieberman to locate and identify all assets and liabilities as marital or non-marital, and to accurately value even complex property like business valuations or interests in a retirement account or profit-sharing plan. Modifications – If circumstances have changed since your divorce, we’ll take your case back to court and move for a modification of custody, support or other court orders. Our divorce lawyers can oppose such motions from the other party as well, including parental relocations. Wise Lieberman, PLLC can also help you with enforcement of child support, alimony or other court orders, or defend against claims that you are out of compliance. Paternity– Fathers seeking to have an active role in their child’s life may find themselves shut out by the child’s mother, and then be shocked to learn they have no parental rights because the parents were not married when the child was born. There are several ways to establish paternity even years later; we stand up for the rights of fathers to partake in parenting and time-sharing, and for the rights of mothers to seek support from the father of their children. Domestic Violence – Domestic violence can have a profound impact on the lives of everyone in the family and can even dictate how issues such as child custody or support play out in a divorce. Our knowledgeable and compassionate attorneys fight for your rights in divorce litigation and petitions for injunctions and restraining orders. Mediation – For parties looking to resolve their marital dispute more efficiently and with lasting positive effects, mediation may be an affordable and effective solution. We’ll prepare you for mediation and offer advice and representation as needed to help you come to a resolution without having to litigate your case in court. Wise Lieberman maintains a strong client-driven focus in our Florida family law practice. Our attorneys are always available and accessible to our clients when they need us. Further, we strive to deliver high-quality legal services in an efficient and affordable manner. Our clients are satisfied with the results we obtain for them, with the way their case was handled, and with the value they received for our professional assistance. Call Wise Lieberman, PLLC at 561-488-7788 to schedule a consultation at our offices in Boca Raton and Plantation. Our Boca Raton divorce & family lawyers are here for you whenever you need us.